KENSHINE PUMP&VALVE MANUFACTURING CO.,LTD is the integrated enterprise specializing in research and development and design and produce and sales of pump and valves. 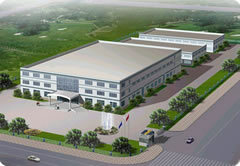 KENSHINE PUMP&VALVE MANUFACTURING CO.,LTD locates in MINHANG industrial zone, SHANGHAI which is the economic trade center in China and established in 1985. KENSHINE PUMP&VALVE MANUFACTURING CO.,LTD have developed and enlarged many years, supported by scientific management,sophisticated technology,advanced equipment and strict quality system. Company is continuously going up as the 40% rising speed every year and is as the one of industrial manufacturer in China. Company had ISO certificate in 1998 and the products are according to JB/JQ20103-1998 and JB/JQ20104-1998 standard. The quality of products is insured by PICC. Company has several sales and service networks in many middle and big cities of China. The products are sold to domestic cities and exported oversea about 40% products. Based upon the motto of “Development from science,survival from quality, image from brand and superiority from service” and the marketing philosophy of “customers foremost and pure-hearted service. We are committed to provide users with high quality products and satisfactory serice by advanced production management and rigorous quality control.